Happy Wednesday, everyone! Carmen here again! Here's a look that is totally not suitable for daily wear haha. Anyways it involves the use of one of my favorite colors, and I'm pretty sure any of you would be able to guess what that would be. I've always wanted to do a makeup look where the lip color is sharp and out of the ordinary...so here it is! 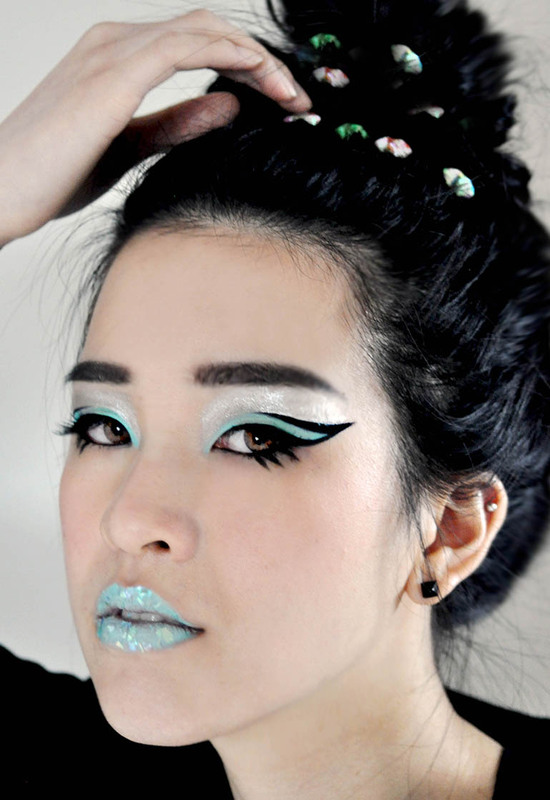 The black liner I used was to enhance the turquoise cream shadow. 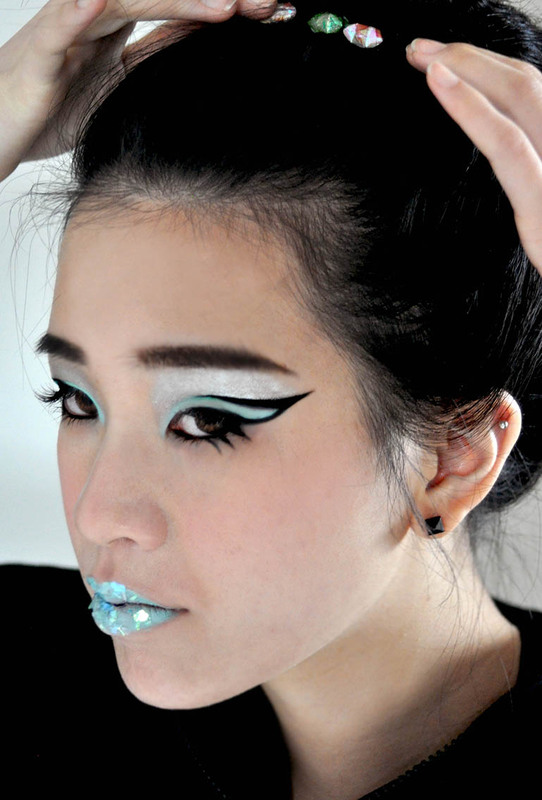 The silver on the eyes was to balance out the sparkly chips that were used on the lips. To be honest, this look kind of freaked Doris and I a bit after I completed it, but after a while it looked pretty cool. Oh and also if any of you are wondering what those weird things are buried in Doris' hair, they are actually origami stars. Yes, origami stars. I needed something that sorta reflects light to balance out the strong makeup and those were the only thing I could find in my room! That is AWESOME. The sharp contrast between the mint green and black and the shape of the wing are really nice all together. The lips are super cool! It's overall a very balanced look, not over-the-top at all. Looks great on Doris too!